You or I get told we must throw out our carry-on toothpaste tube if it exceeds three ounces. But, just a little more than two months after Islamic terrorist Umar Farouk Abdulmutallab tried to detonate his Amsterdam-to-Detroit flight, a Dutch investigative reporter was able to smuggle more than enough liquid to make a bomb, onto a flight. 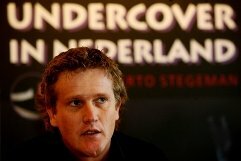 Alberto Stegeman, of “Undercover in Nederland,” which airs on Dutch TV, is known for sneaking bombs and explosives through airports, onto planes, and past various other “impenetrable” security. This is just the latest, and the way he did it is very clever . . . but not too clever that terrorists didn’t think of it. Or me. In the past, I’ve decried the fact that passengers were allowed to buy wine and other liquids in airport shops and restaurants, and then take them on planes, because I noted that, some way, somehow , this would enable terrorists to get their liquid bombs on flights. And Stegeman proved me right. Stegeman demonstrated how he and two associates smuggled bottles of water from Schiphol International Airport to London’s Heathrow International Airport and onto Dulles International Airport in Washington. The bottles could have held liquid explosives, yet he managed to get them aboard easily, he said. “It is still possible to bring a bomb on the airplane into the United States from Schiphol,” Stegeman said. . . .
On Feb. 16, Stegeman’s team boarded a British Midland Airways Limited plane at Schiphol with six Bacardi Rum bottles that were bought a week prior at the duty-free shop, taken home, emptied and refilled with water. The day of the flight, the three posed as if they were buying the bottles anew at the shop. The cashier sealed them, marked them with their ticket and flight date, and returned them back. At Heathrow, the group transferred to United Airlines 925. At security checkpoints in both Schiphol and Heathrow, the bottles didn’t raise suspicion, Stegeman said. This happened at Amsterdam’s Schipol airport, the site from which the Abdulmutallab Flight 253 originated. Could this happen at U.S. Airports? Probably. But even that makes no difference because we don’t control airport screening at foreign airports whose flights land in and fly over U.S. airspace, and fly many American passengers. Feel safe yet? You shouldn’t There are a million ways around airport security and screening for liquids, etc. The best way to screen passengers remains the system only the Israelis use, profiling. This is the best reason not to fly. I spent the weekend with Jewish friends who called me rascist because I don’t donate to charities that cater to muzzies. I looked her right in the eye and said, “They are coming for the Saturday people first, and the Sunday people next.” And, I reminded her that people didn’t believe Hitler either. Well, if someone says he’s gonna kill you, YOU HAD BETTER BELIEVE IT. gm – did you explain to them that islam is not a race? The sad thing is she would have been caught up in a concentration camp due to living in denial. 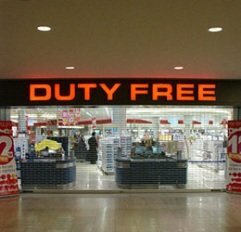 I find it hard to believe that this would work in most airports because the duty free shop is past the security checkpoints. So the real question is, if that is the case in Amsterdam, how did they get those bottles past security the second time they boarded. I guess that law enforcement and the like are just all too busy protecting the Islamists from Geert Wilders over there. Sad. Flew resently- from Fl to New Orleans- I was sinlged out for a pat down the TSA agent name was Nasir- I asked where he was from and he told me Chicago- I said Cubs or Sox? the TSA supervisor- looked at me as if I was wasting his time and may spent too much time listening to hate radio. My husband says NO moslem is ever touching him at the airport! He says he would ask for A REAL AMERICAN! AT least he would geta chance to insult the mussie. Profiling works, but that’s too “controversial” of course. So we let the single male arab in his teens with no luggage through and single out the gramma from North Dakota for an intensive screening. so stupid. TSA: turning average Americans into criminals. If readers of this site know these things, it is certain that the U.S. Government is very, very well aware of these security weaknesses. What they are saying is basically, that we are all expendable. It would be nice if nothing happens to us, but when all is said and done, it is more important to appease their Muslim buddies than to protect all of us. Sadly the only value we have to our Government is on April 15.